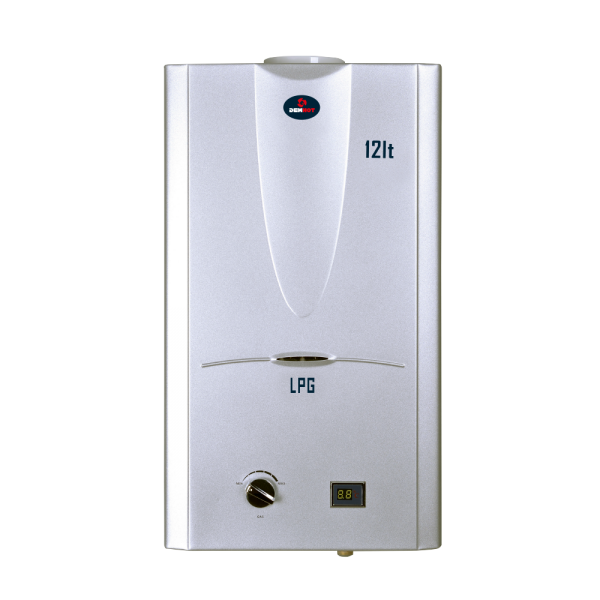 Introducing the Dewhot Low Pressure 12lt gas geyser. Now your hot water can run efficiently off low pressure and restricted municipal water supplies. The low pressure geyser is the perfect solution for your off-the-grid locations as they can run off stand tanks (rain tanks). The geyser regulates itself to the water pressure so your hot water won’t be interrupted. This geyser can operate from as little as 1 meter water height. Flow control tap on cold water supply.